I love sewing my own paper garlands! It’s so easy and you can customize for any party theme or color combination. Not to mention it’s a very affordable way to make some beautiful decorations! 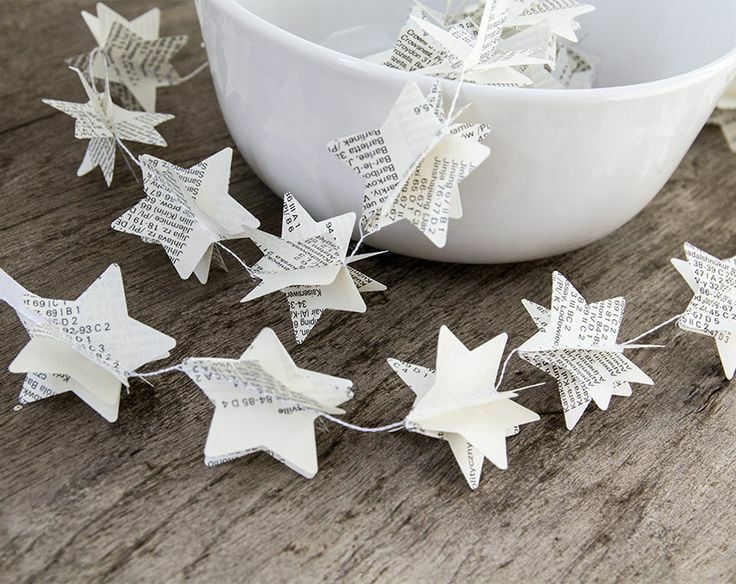 Here’s a easy tutorial for how to sew a paper garland and lots of different ideas! 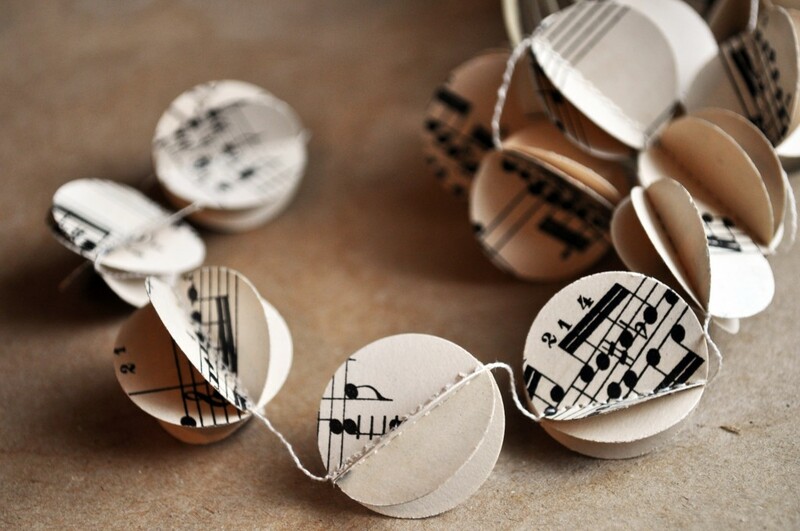 Photo courtesy of Paper & Stitch Blog. 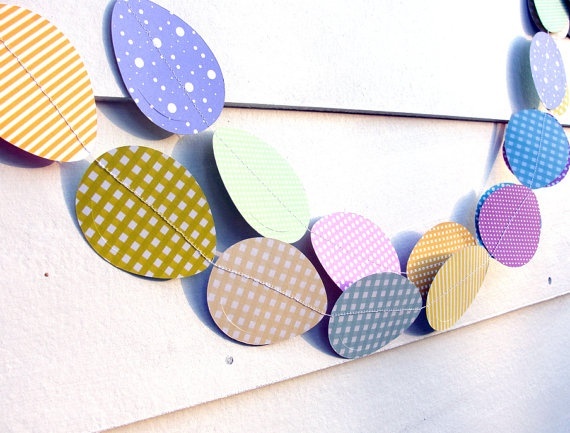 Punch out of paper shapes for your garland. You can purchase large hole punches at your local craft store in all types of shapes. I recommend using cardstock so that it doesn’t tear when going through your sewing machine. Set up your sewing machine with a thread that is in the color combination of your selected paper. Set your machine on a straight stitch with the longest length possible. Place the first piece of paper on your machine just like fabric and then set the needle in it, forward stitch and then back stitch to set the thread. Continue sewing forwards slowly. 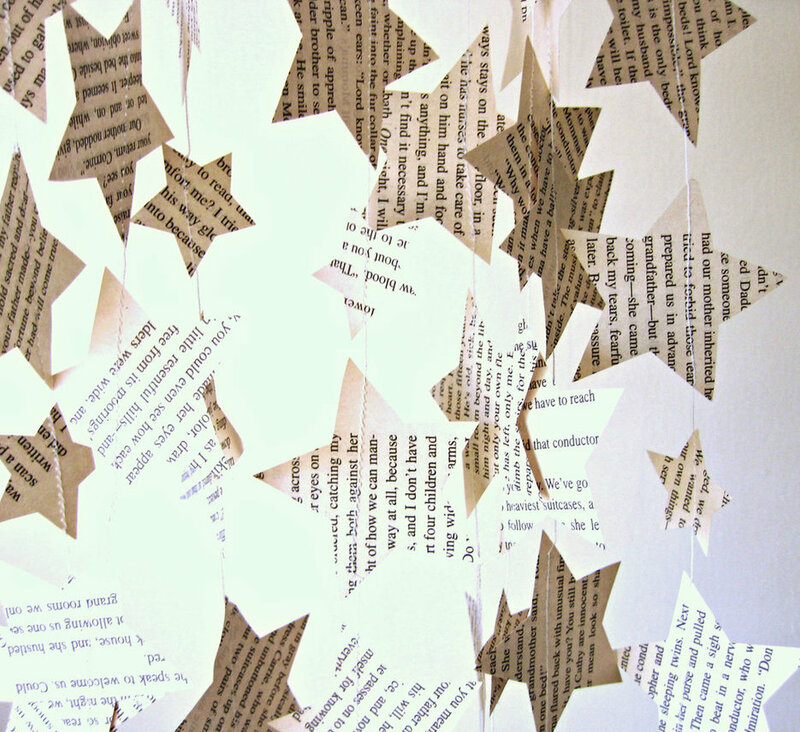 When you get to the end of the first paper cut out you can either immediately feed another piece of paper in or you can continue sewing a few more stitches before placing the next one in order to space them out. When the garland is the length you want, lock the last piece of paper in place by forward and backward stitching. A fellow blogger at Curbly does an awesome job showing each of these steps in pictures. Click here to see. 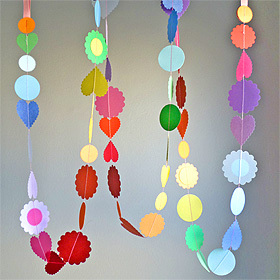 To purchase handmade garlands visit Tiny Kiwi Creations on Etsy. 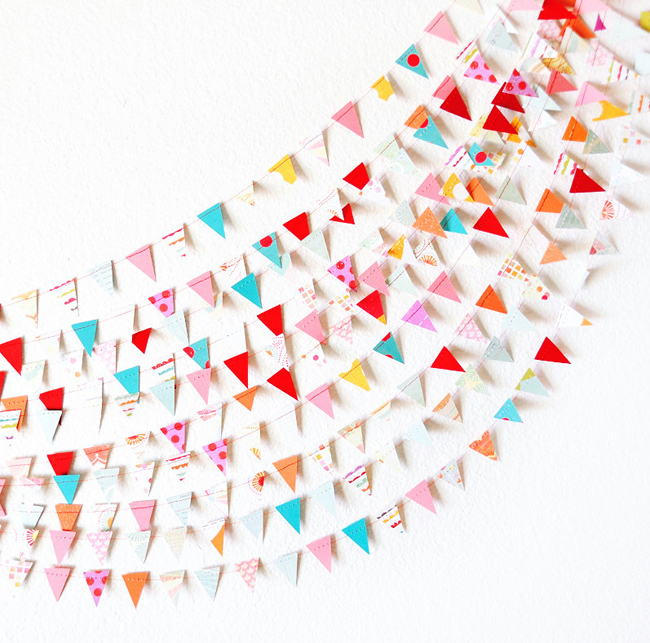 Super cute triangle paper garland from Chicka Bug. 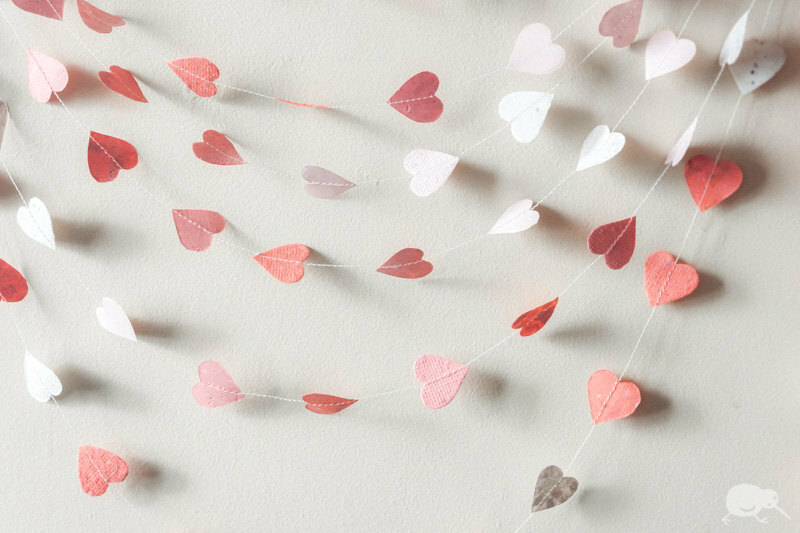 This could be a lovely garland for a wedding (unknown source). 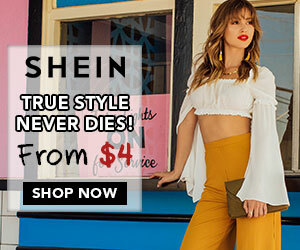 Photo courtesy of A Shopping Queen’s Blog. 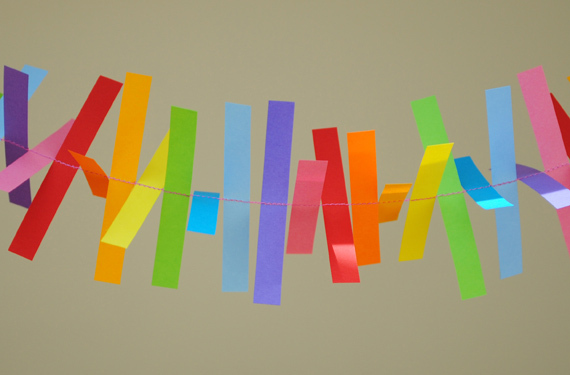 This colorful, paper garland would be perfect for a kid’s party (courtesy of Minie Co)! 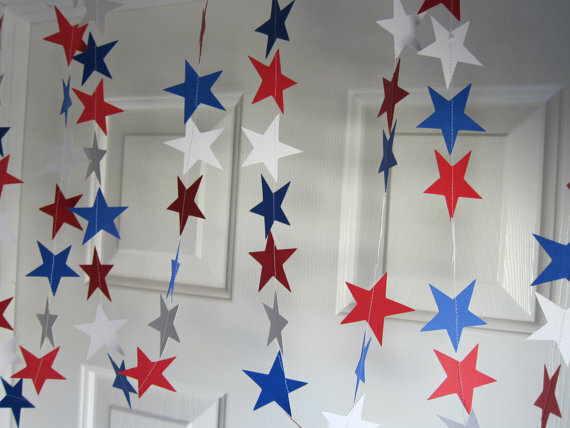 A red, white and blue star garland is festive for July 4th (known source). It’s really very easy! And I think it’s fun to do as well! I’ve been trying to make raindrop garland, they turned out great until I spaced between the drops. My thread keeps coming out of the needle?? Any thoughts? Hi Kelly – sorry to hear you are having trouble when you space them out. Unfortunately, without me being there it’s kinda hard to guess what might be wrong. Make sure you have lots of extra thread when you pull it through the needle. You can always trim the excess. I’ll let you know if I think of anything else. I’m having the same issue. If I leave a gap between pieces, my needle comes unthreaded. It won’t keep sewing if I don’t immediately keep it sewing on paper. I was wondering if I should adjust the tension. – Double check and make sure the sewing machine is thread properly everywhere else. – Check tension. Tug on different areas of the thread path to make sure it’s not too lose or getting caught somewhere. – Make sure the needle is inserted correctly. I really hope that helps! I by no means a sewing expert!! I would try re-threading the sewing machine. I have had the same problem of not being able to leave a gap between the pieces-I sewed tissue paper where I wanted the gap & then just pulled it off when I finished the length. Hope that helps someone. Hi Rikta – You need to set your machine to do longer stitches. Right now the stitches are too close together and are basically cutting the paper in half. I hope that helps!